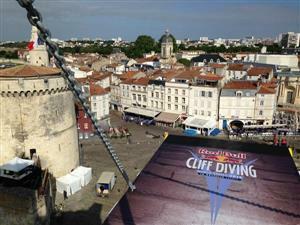 Gary Hunt wins the second stop of the Red Bull Cliff Diving World Series in La Rochelle!!! The Englishman has made it back-to-back wins in the World Series! He's joined on the podium by fellow Brit Blake Aldridge, who's second, and Orlando Duque, who's third! It's Orlando Duque, Gary Hunt and Blake Aldridge currently occupying the podium... The seven finalists, starting with the lowest ranked, will perform one final optional dive and then a winner will be crowned! Wow! Blake Aldridge has just performed what is now the new hardest dive in the world, a reverse double somersault, with not three, not four, but five twists for the first time in World Series competition! It carries a Degree of Difficulty of 6.3. Blake has hit it for 7.5s from the judges and is now in contention for the win! 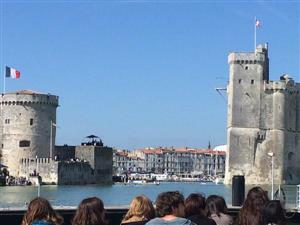 La Rochelle, you've never looked so good! The crowd have turned out in their tens of thousands... It's an awesome sight from the top of the Tour Saint-Nicolas! Orlando 'the legend' Duque is first up on the platform! The Colombian has advanced to the final already but must complete his dives. Gary Hunt and Artem Silchenko should be interesting! The current champion and a former champion going head-to-head! 6. Kris Kolanus (wildcard) | POL | 91.80 vs. 9. Jonathan Paredes | MEX | 87.40 . The action gets underway at around 4pm local time today, and we'll be bringing you updates throughout the competition! 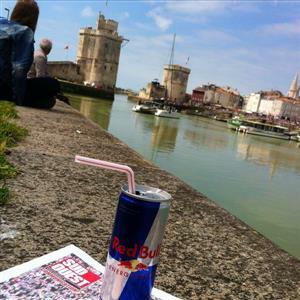 T-shirt and shorts weather here in La Rochelle... Unprecedented! The weather's the best it's been all week... have a feeling that today is going to be a good day! 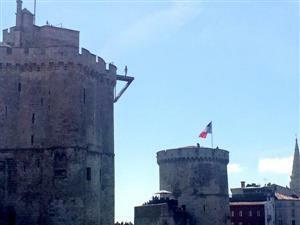 Good morning from La Rochelle! 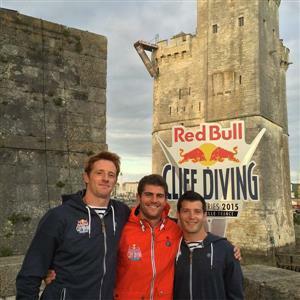 Hello everyone and welcome to live updates from the second stop of the 2015 World Series in La Rochelle! Today was also memorable for Ukrainian wildcard Anatoliy Shabotenko. Two years ago in La Rochelle Shabotenko was knocked unconscious after a bad landing and missed the competition. Today he attempted the same dive as two years ago, a reverse somersault in three positions, and achieved a very different result: "I wanted to do this dive again here and win the mental battle. I’ve been preparing for this, I’ve done the dive again somewhere else, and now I’ve done it here too." Orlando Duque placed first after the first day of dives after getting 9s for a reverse flying somersault, but admitted it was a struggle: "I was pretty happy with my first dive. It’s cold, so the body’s suffering a bit. My joints are really sore, so I just wanted to get it over with and to be honest it was difficult. The body doesn’t work the same way when it’s cold compared to when it’s warm. By the time you’re on the platform you’re already cold, even if you’ve warmed up."